In 1852, Isambard Kingdom Brunel had the idea to build the largest moving, man-made object ever built and she was by far the largest ship ever built at the time of her 1858 launch. The Great Eastern originally known as Leviathan and often referred to as Titanic’s sister, had the capacity to carry 4,000 passengers from England to Australia without refuelling. Back then, a ship could carry about 400 people so, many believed the vision to go beyond what man or machine could achieve. It sounded a little out of this world, but Brunel was an entrepreneur with big dreams like any other entrepreneur and the lessons he learned along the way are very similar to, if not, the same as, the lessons we learn every day as entrepreneurs working hard to build our brand and achieve our goals. In January 2016, I started working on the nuts and bolts of my own Leviathan: a machine that would run all the systems and processes of my business, from requesting more information or booking a meeting, to working on and closing your project, all at the click of a mouse. Leviathan was something I had thought of building for years, but sometimes we need to be better prepared not just to build our machine, but to receive its blessings when they come. And so it takes much time, trial and tribulation before we finally have what it takes to build, drive and reap the rewards of a smooth sailing ship. 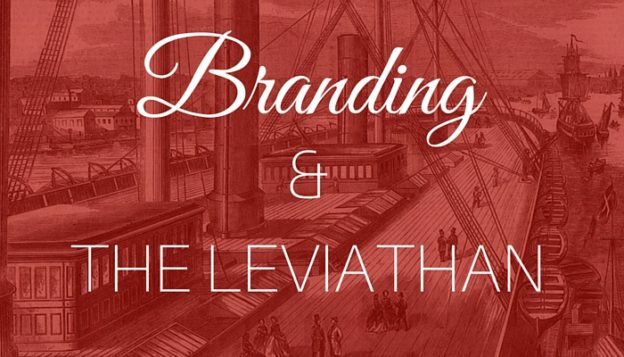 My Leviathan is the second largest project that I have been planning for years and launching in the space of 6 months (the first was PR LIFE launched October 2015, check it out!) and I’m so proud to have made it to the beta testing phase, which means Leviathan is built and we’re just making sure it all works before we put it in full swing. It may have only taken me a matter of months to build it, but I’ve been engineering her every move through trial & error and many long nights, and much blood, sweat and tears, for years. People will doubt you. Six directors walked out of the meeting held to discuss Brunels idea, but enough remained to invest and get the vision off the ground. People will turn on you. Unfortunately, in most cases, those who turn on you won’t just be a friend or family member, but they will be someone on your team. Brunel was the engineer but he teamed up with J. Scott Russell to actually build the ship and we learn that there was an instance where Russell’s yard burned down and he attempted to hide it at first. Russell was also keeping some of the iron used to build the ship for himself to pay off debts. You will no doubt need help on the way to your goals, but watch out for those who might choose to prioritize their interests, before the vision. The best laid plans can fail. It was finally launch day and the ship . . . didn’t . . . move. Can you imagine? Building the greatest moving object in the world and when it comes time to demonstrate, it doesn’t move??? The horror and humiliation will make you curl up and want to die. Sometimes you can invest so much time, energy and money into something and it doesn’t work and you feel defeated but that is precisely the moment when you need to keep going. In the end, all hope was not lost, the great ship sailed 90 days after its launch but it had lost all its momentum over the months they spent trying to move it into the water. Don’t be in a rush. No one attempted to build another great ship until some 40 years later. Sometimes the vision can be too big for the times or there is no demand, but this is where patience comes in and again, you can use the time to do some fine tuning. Measure twice cut once. Speaking of no demand, even though the ship was finally ready to sail, nobody was interested. Start with your research to determine the level of interest and then proceed according to the needs and interests of your audience. No attempt at greatness is ever a total loss. In fact, the greater your greatness, the greater the challenges you’ll have to endure on the journey to greatness. The key word there is ‘endure’ meaning we bounce back from our failures and press on. The story of the Great Eastern may sound like a failure but it is still known as the greatest man made moving object and it’s story is remembered to this day. The moral of the story is that true branding is a journey that begins well before we even decide to call ourselves a brand and it leaves a lasting impression on the hearts and minds of our audience, for years to come. P.S. My Leviathan is docked at www.gabrielpr.ca. Although we are testing her out, we are accepting new passengers to come and experience the journey. We expect to set sail in May 2016.